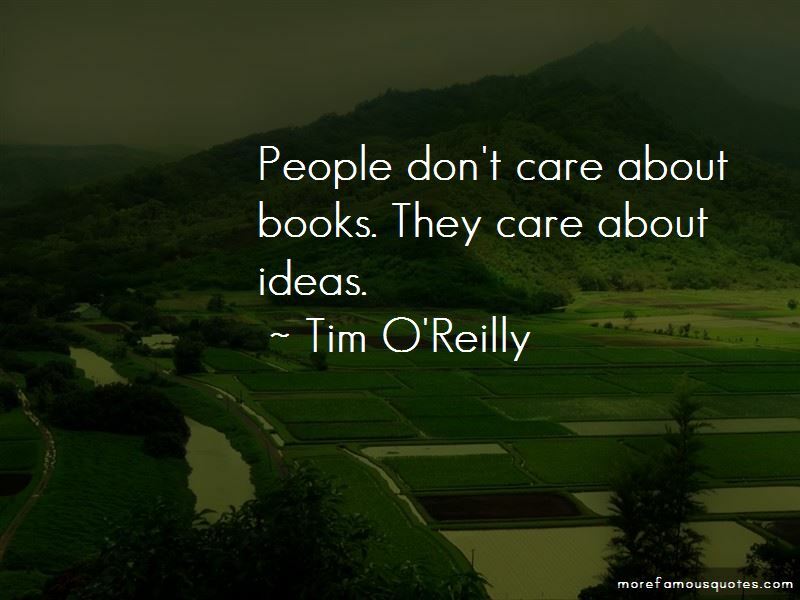 Enjoy the top 85 famous quotes, sayings and quotations by Tim O'Reilly. There is a possibility of fresh talent coming to work for the government. Millennials are the most public-spirited generation since the 1960s. There is an opportunity to harness that generation and make government service cool again. I came up with the idea that I wanted to develop products because I saw services businesses being a dead end long term. At O'Reilly, the way we think about our business is that we're not a publisher; we're not a conference producer; we're a company that helps change the world by spreading the knowledge of innovators. I see publishers bemoaning their fate and saying that this is the end of publishing. No! Publishers will recreate themselves. Some of that comes from my experience as a print publisher. I guess I would just say that in general, one of my weaknesses is that I love everything. There's too much of everything to keep up with it all. I get bored with Silicon Valley technology a lot. I've always had much more of a draw to the people who are doing things for love than the people who are doing things for money. Collective intelligence. Think of how Wikipedia works, how Amazon harnesses user annotation on its site, the way photo-sharing sites like Flickr are bleeding out into other applications ... We're entering an era in which software learns from its users and all of the users are connected. No matter your sector, chances are that people are already twittering about your products, your brand, your company or at least your industry. Want to see more pictures of Tim O'Reilly quotes? 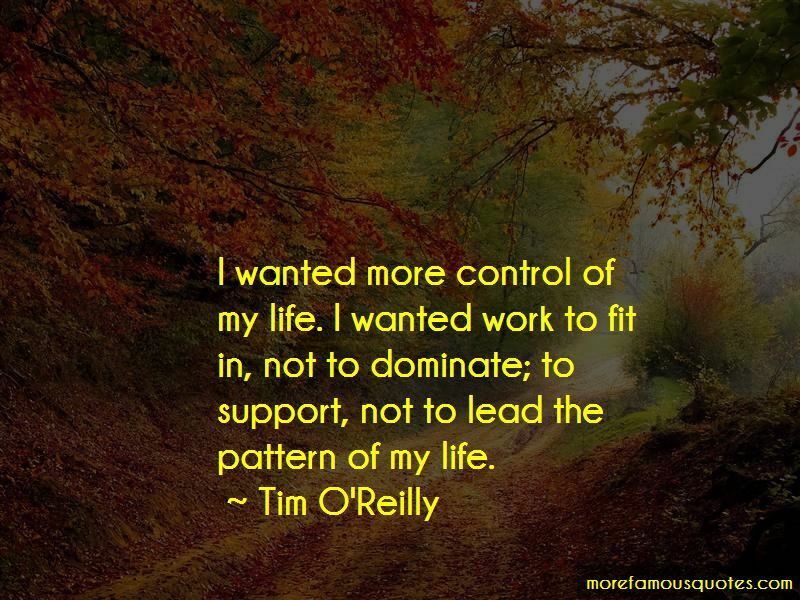 Click on image of Tim O'Reilly quotes to view full size.